Halloween is the evening before the Christian holy days of All Hallows’ Day also known All-hallows or All-hallowmas. Observed on October 31, the day before the Western Christian feast of All Saints and initiates the season of Allhallowtide, which lasts three days and concludes with All Souls’ Day. Halloween have it’s roots from the Celts of ancient Britain and Ireland. Today, celebrants wear masks and costumes for parties and for trick-or-treating, and this secular holiday has come to be associated with a number of activities. Along with skeletons and black cats, the holiday has incorporated scary beings such as ghosts, witches, and vampires into the celebration. Many people are dressing up especially for this event, and after day activities such is trick-or-treating, they are going to the themed parties till early morning hours. First of all, Serbia is an Orthodox Christian country. Celebrating this day under the masks wasn’t the part of our heritage. But, in last decade things changed drastically! Belgradians love themed parties, and party under the mask is among our favorite things! Even now in our elementary schools, there is annual competition between classes and prizes for the best costumes among the youngest ones. In many shopping centers there are costume balls competitions for kids as well! But what we love the most are the parties for us, adults! There are several annual main events dedicated to Halloween. And even better thing is that not all of them are on 31st October! Before it was cool, KST (Klub Studenata Tehike) in the seventies began with the traditional New Year’s masquerade. Held on the last Saturday of every year, become a cult event for all who live and visit Belgrade in December. Great domestic DJs, bands, singers and performers fulfill the event, and main prize is awarded to the best group/single costume during the night. KST is a Club – Disco in Belgrade located in the building of technical faculties – Architecture, Electrical Engineering and Civil Engineering, and began operating around 1952. Go2Halloween is one more, and yet an authentic party, which lasts for ten years now. Between 1500 and 3000 people gathers annually at this event. You will see the most creative costumes, and the most positive people around you. For the past ten years they surprised us with some of the best DJs (domestic as foreign), and every year at different location: Guarnerius, KPGT, building of Geozavod, Depo warehouse, Belgrade Youth Center, BelExpo center, Mikser House, and many more. In 2011 Go2 team decides to “spice up” the event, and every year there is different “scary” theme of the event. Last year, themed event on 31st October took it’s place at the Rush club. 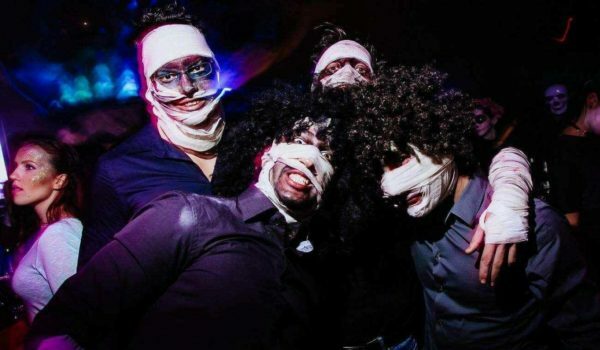 Belgradians love to party under the masks, so that was perfect opportunity for celebrating this kind of tradition! The Rush is one of the newest clubs in town, and it’s already considered as one of the best clubs in Belgrade. Halloween was hosted by one of the best party crews for several years now. GET LOW team really know how to entertain the crowd and DJ Architect & DJ Mike Ride set on fire venue with the best Hip-Hop, R’n’B, Trap, Twerk and EDM sound in town. Located in the center of the city, underground the famous Kalemegdan fortress, you will experience different type of clubbing. Don’t miss a chance this year to dress up with your pals, there are so many ideas for that! Group mask is always welcome! Even if you don’t have a mask, that part is optional! Just have fun! Wackiest and most colorful Halloween party in the city is one for the pets! Held in Belgrade shopping center Big fashion and hosts more than 150 animals. 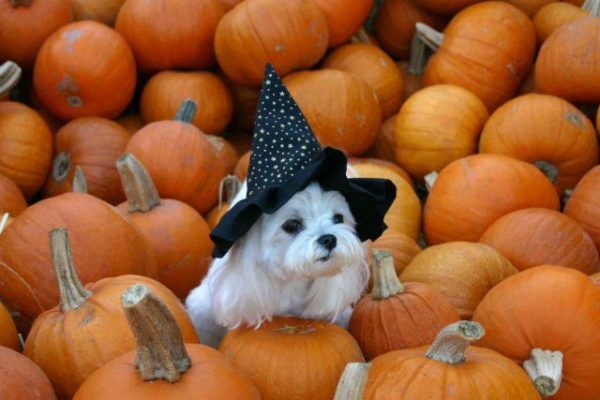 All the pets who join the costume party will receive a specially prepared gift, and photographs as a memento. Owners have the freedom to express their creativity and imagination, and animals are awarded in 15 categories, as well as the audience award for the best mask. Pets can be awarded as the funniest or scariest costume, best original mask, etc. All the pets who come to a costume party and take pictures with their owners or just themselves, will have the opportunity to become king and queen of the event. Which was the best Halloween of yours? Which costume you were wearing? Share your thoughts and pictures with us in a comment bellow!